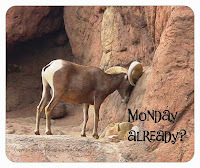 Tucson Daily Photo ~: Oh dear deer! 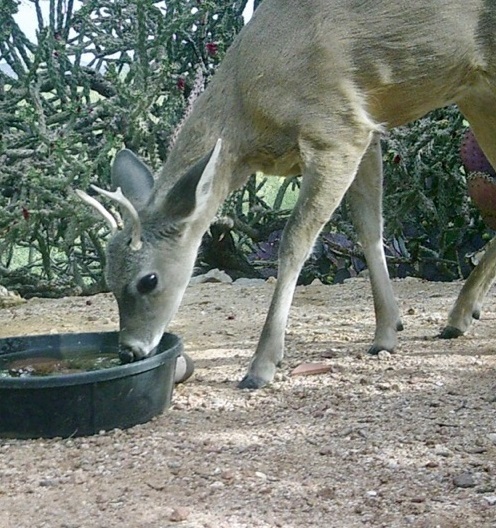 Caught sweetly sipping some water is this precious deer on Susan Dodson's wildlife cam! What expressive and beautiful brown eyes! Those ears looks like velvet! Don't you just want to reach out and scratch its muzzle? Susan has created an oasis with quiet and water, where desert wildlife become super stars on camera! If you don't know the desert you would probably be surprised at the type of creatures that live in a cactus and creosote land. From Gila Monster to Mule Deer (I think that's what that buck is!) it's remarkable. Love it. It's so exciting to see what has stopped by during the day to get a little water. I never realized how many creatures were out there beyond my patio.